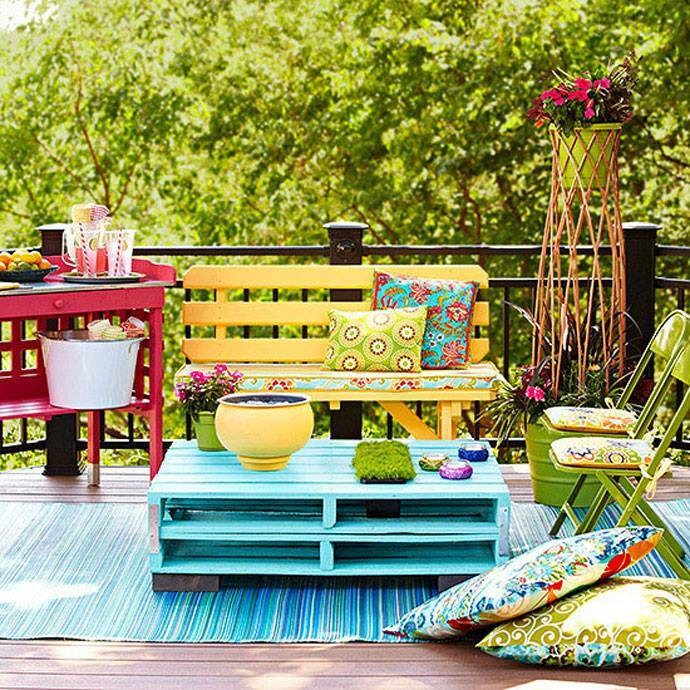 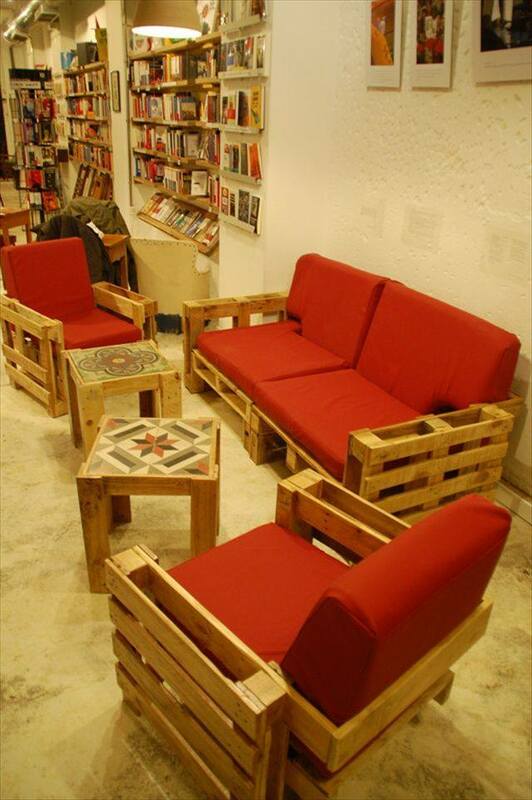 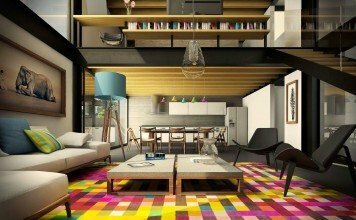 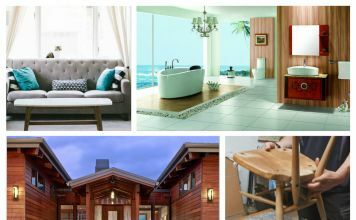 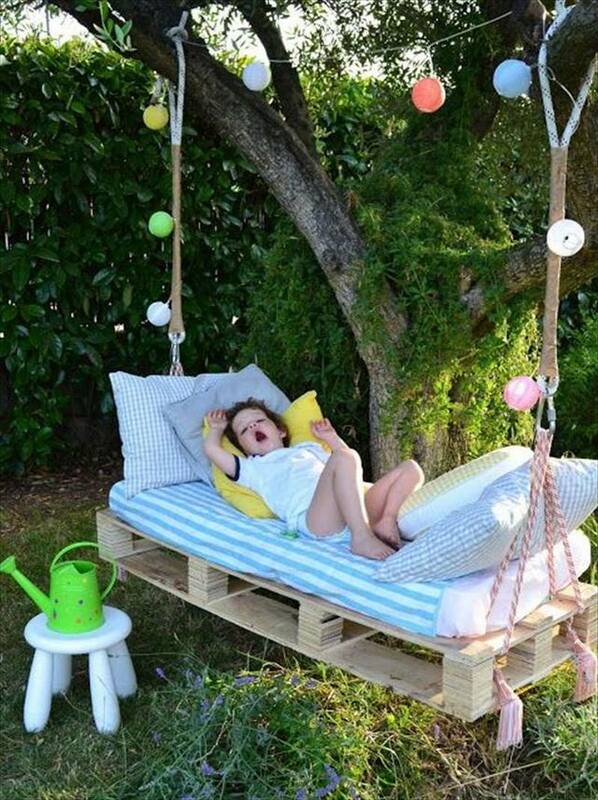 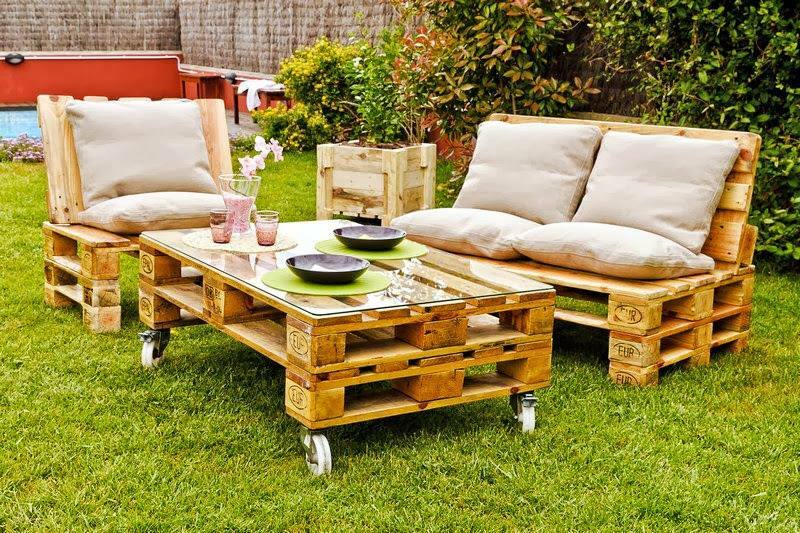 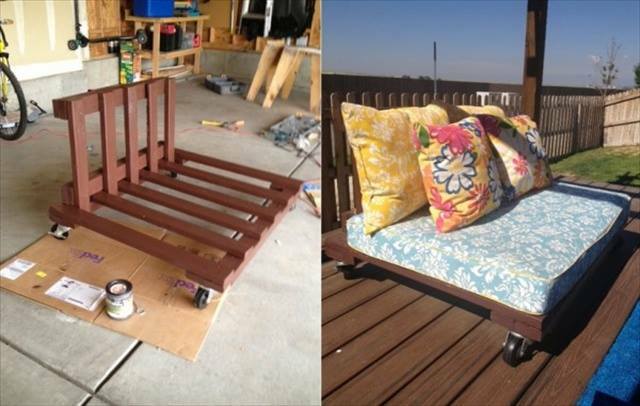 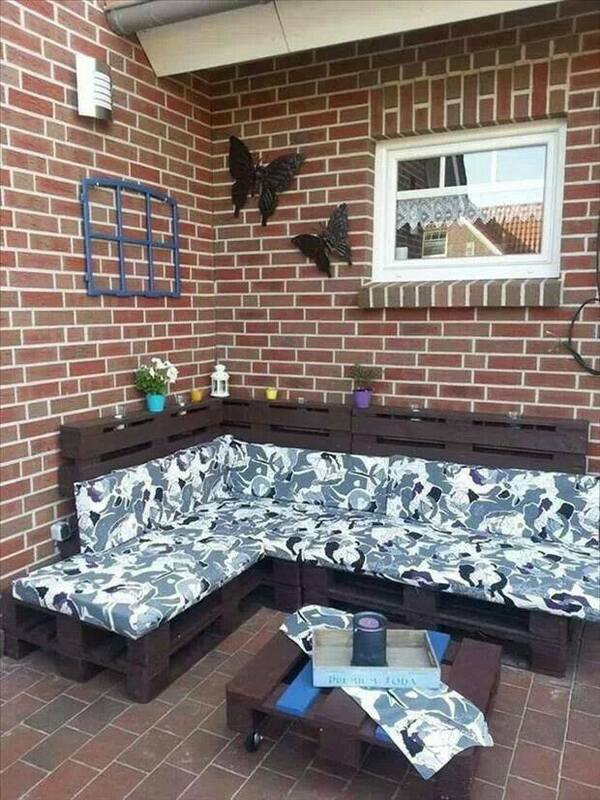 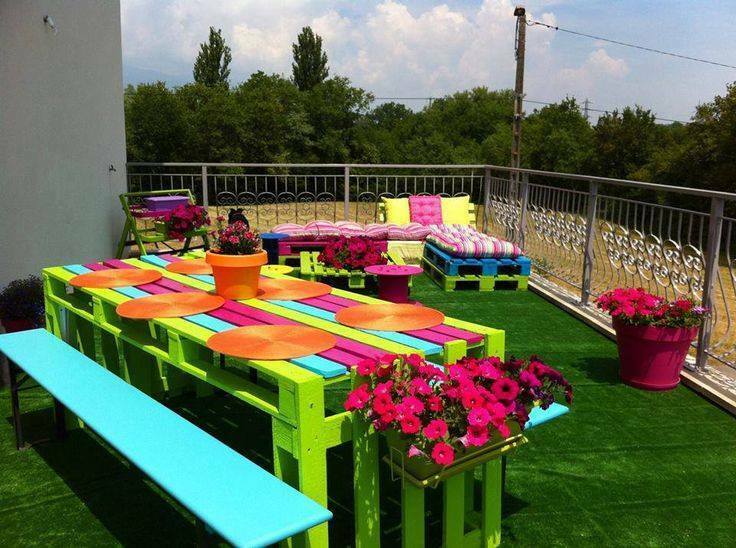 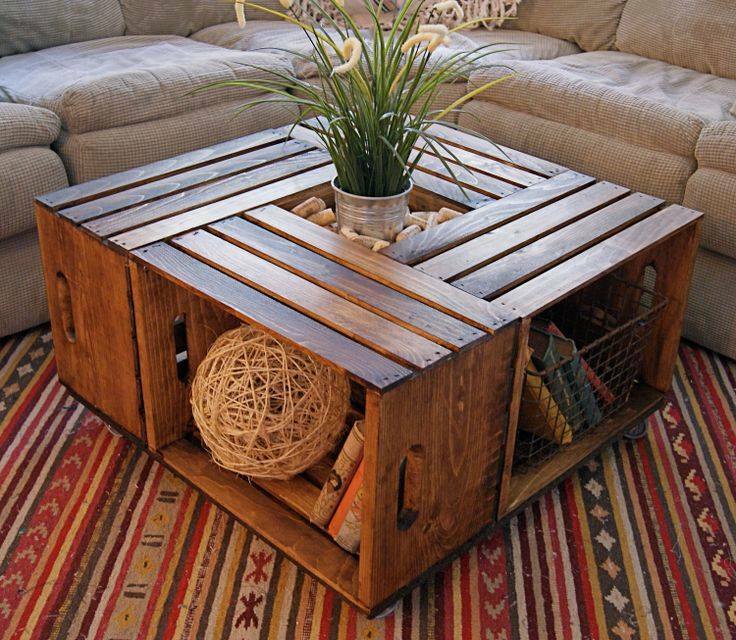 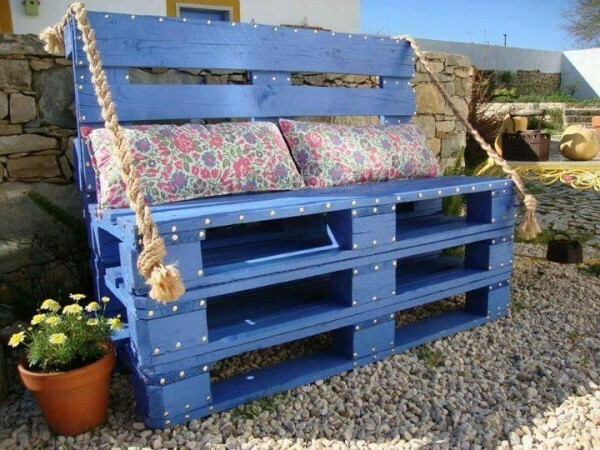 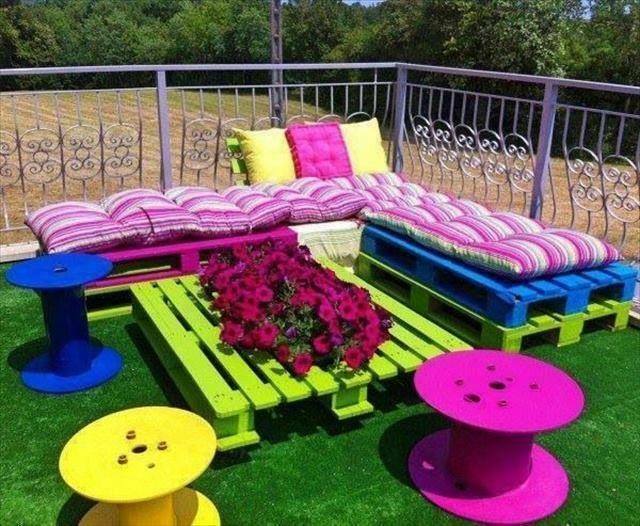 Pallets are trending now-a-day as it’s a cheap material that you could find easily for free and that can be used for many Do-It-Yourself projects for your house or garden. 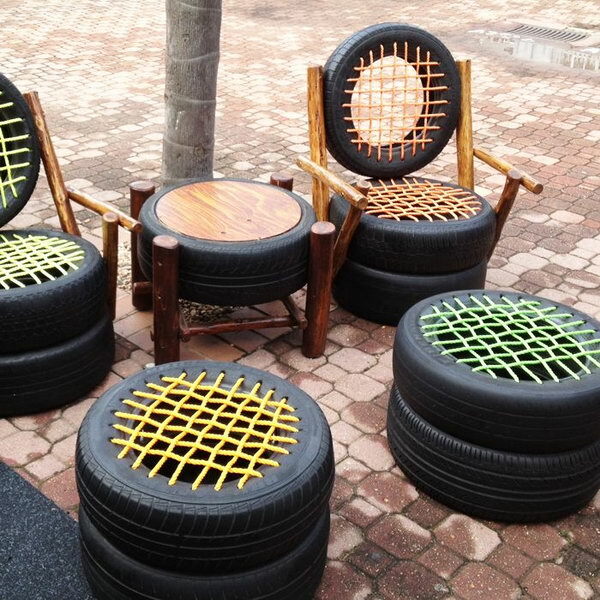 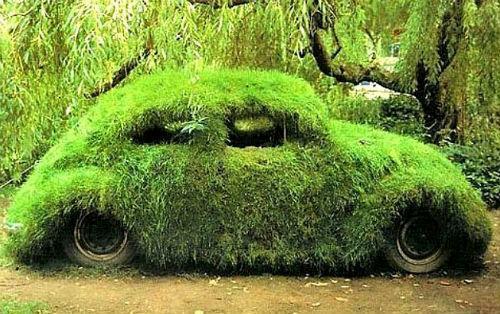 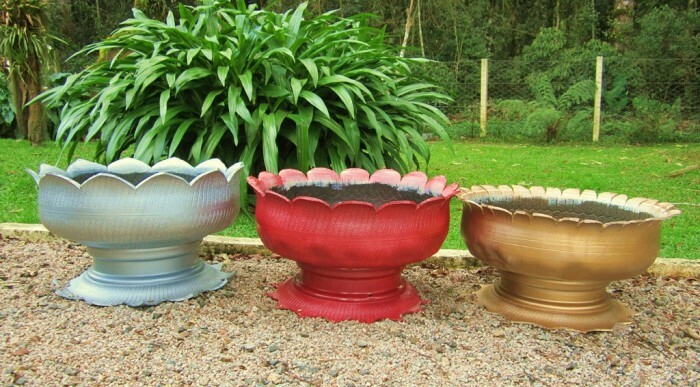 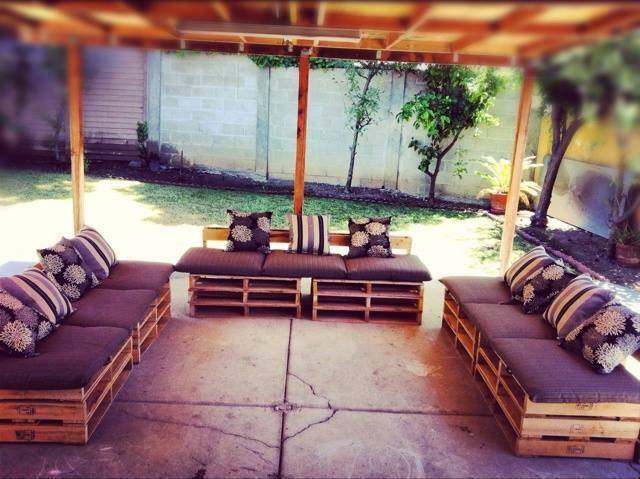 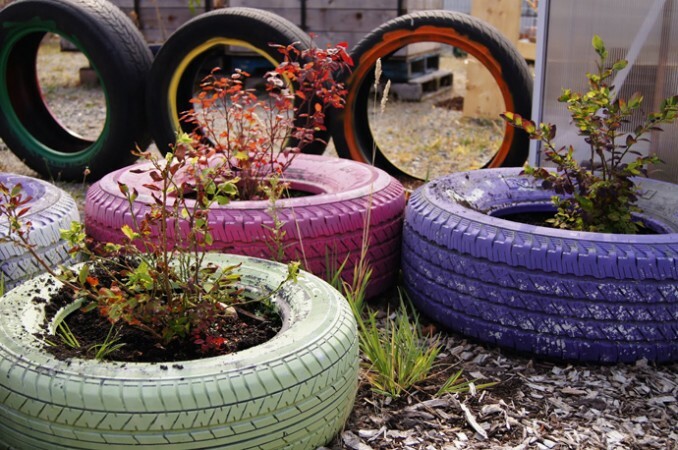 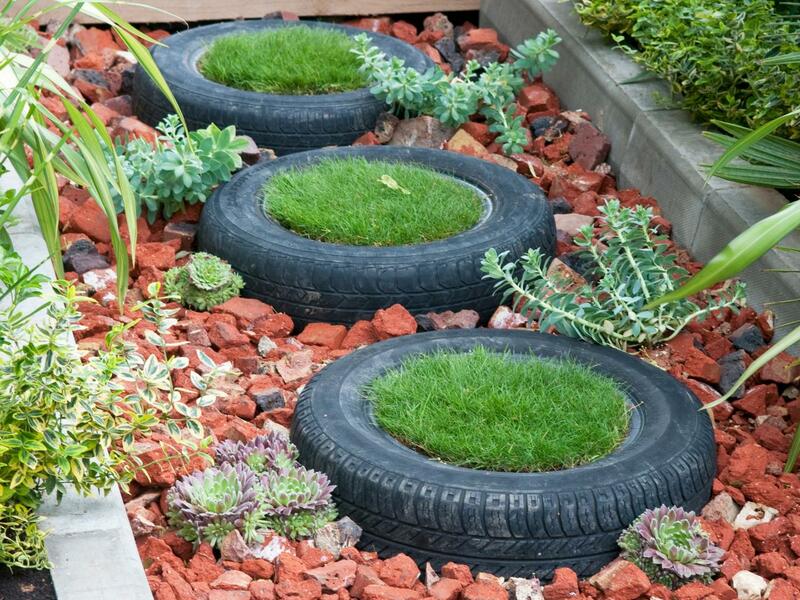 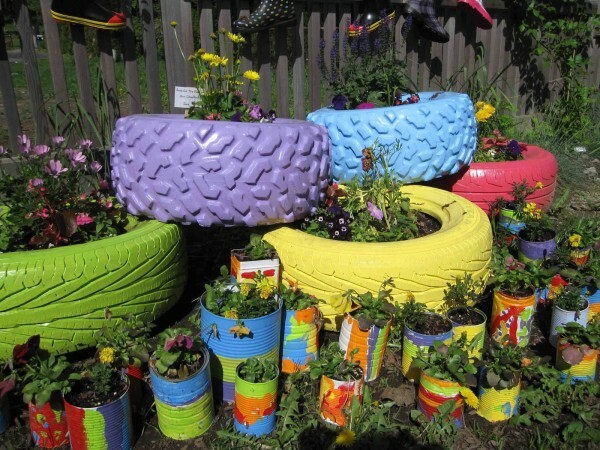 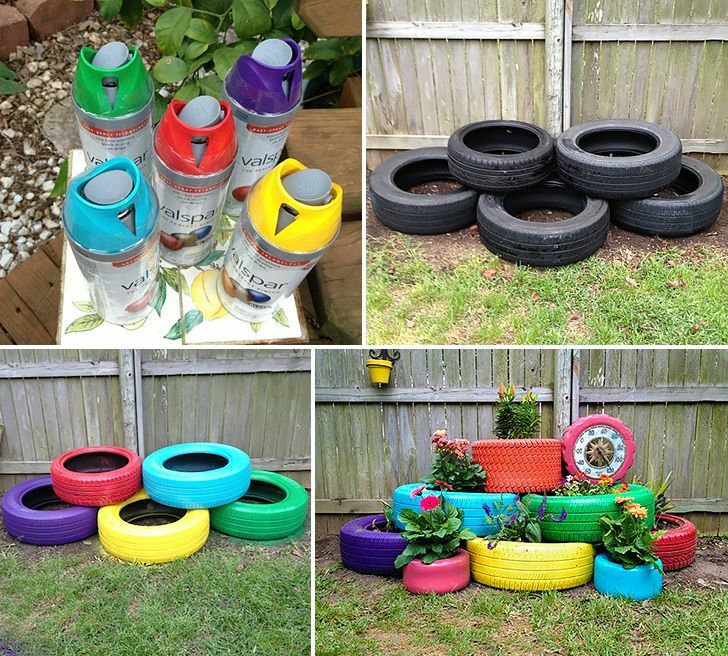 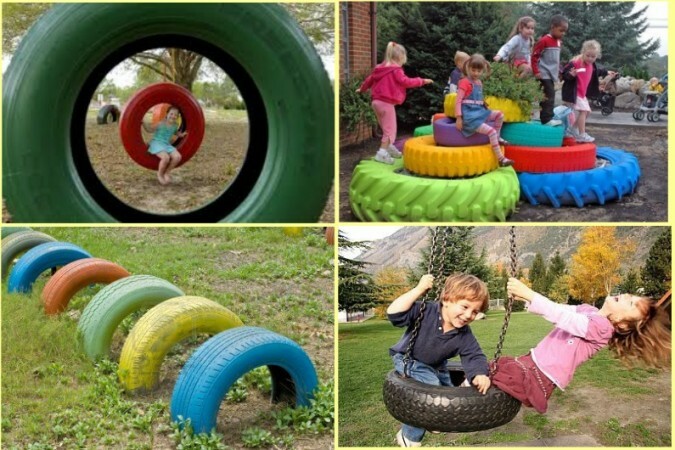 Recycling ideas using car tyres in the garden…from ponds to outdoor furniture. 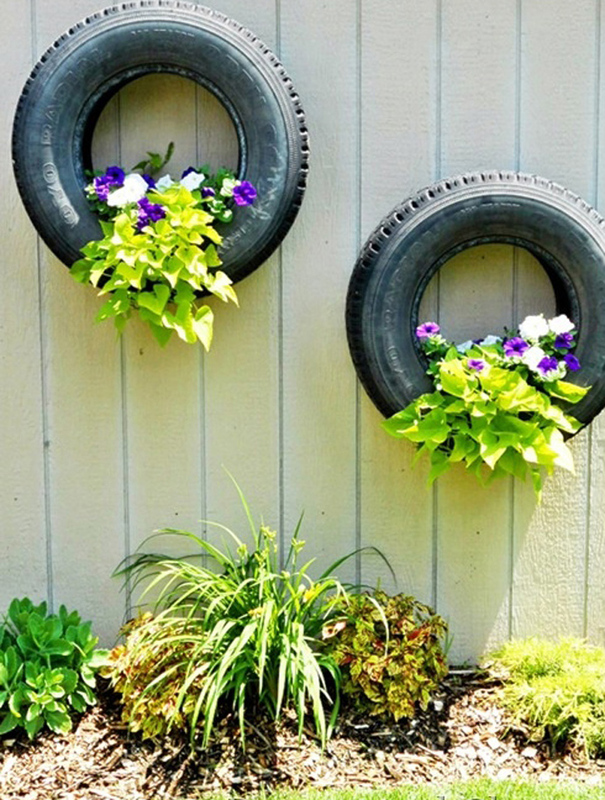 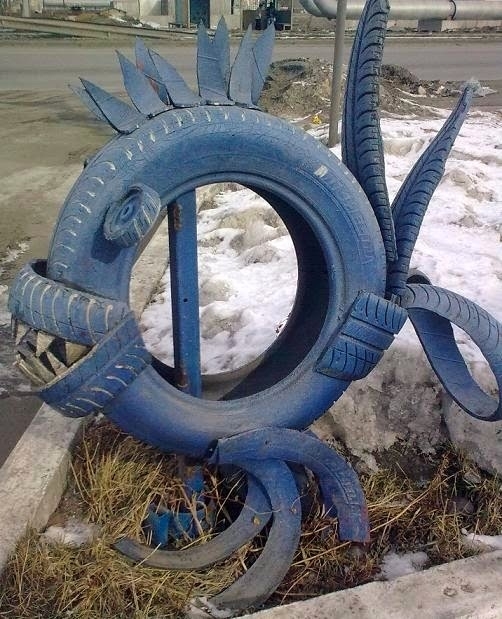 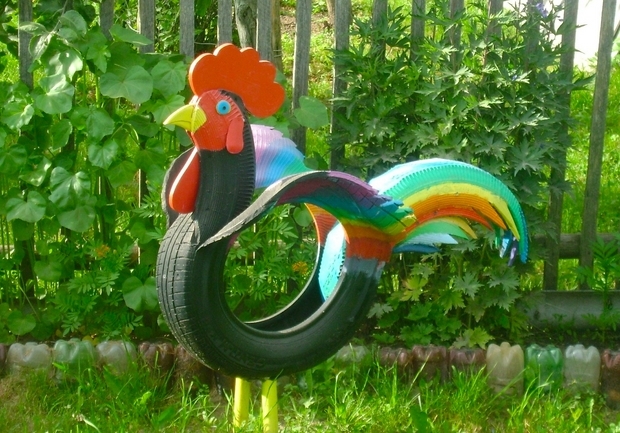 Ever wonder what to do with those old tires? 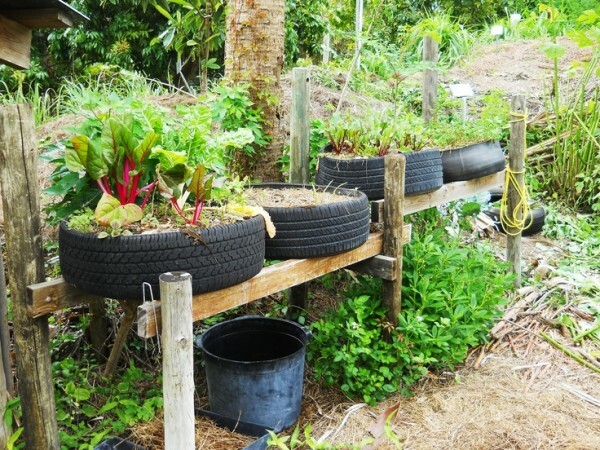 Do you want to have a garden without the need to till soil? 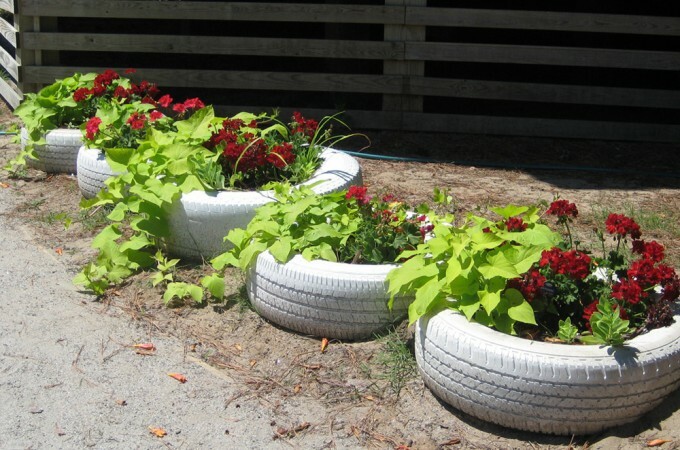 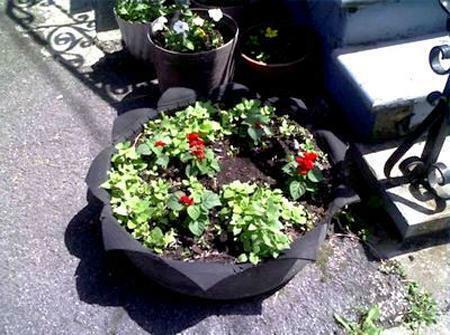 We have found that used tires make GREAT raised garden beds! 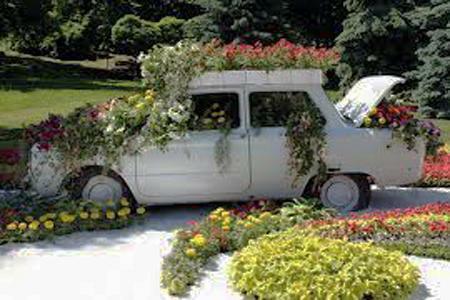 Do you have a whole car that needs to be used? 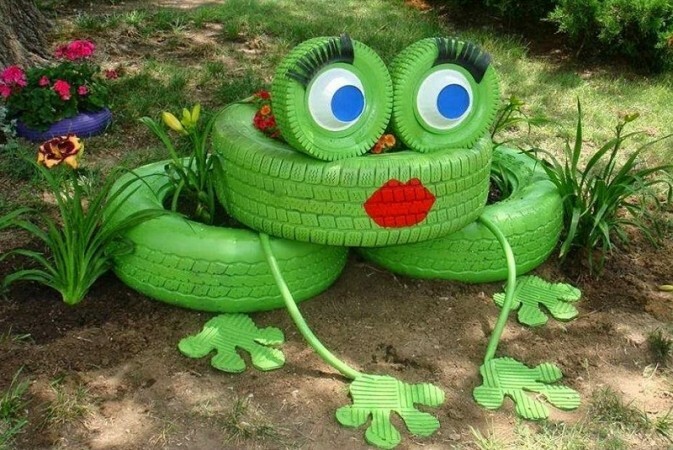 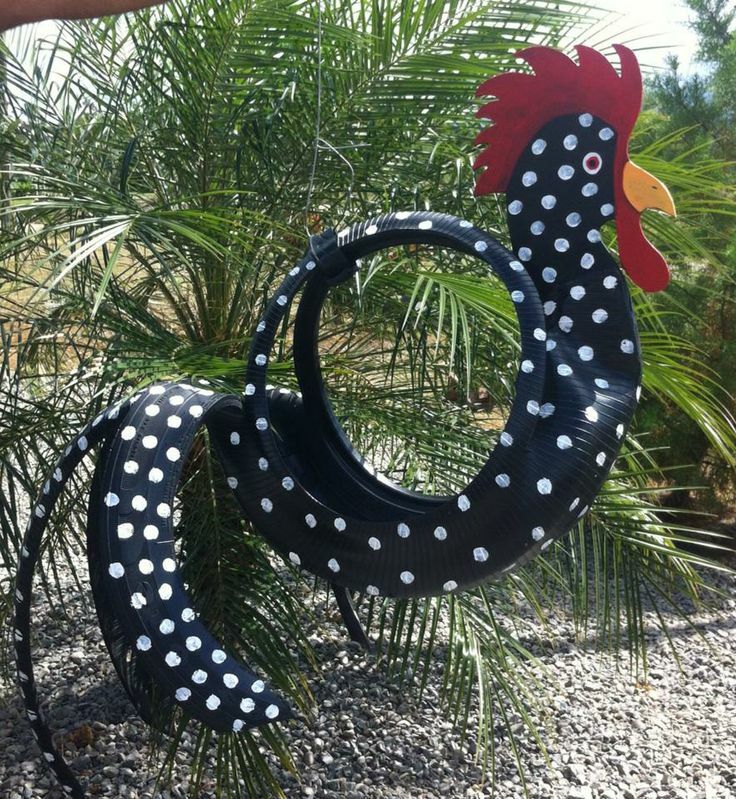 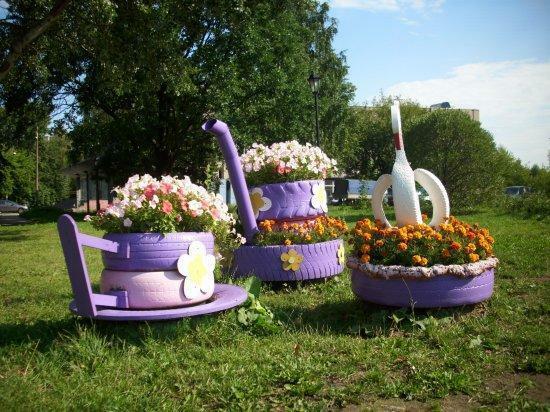 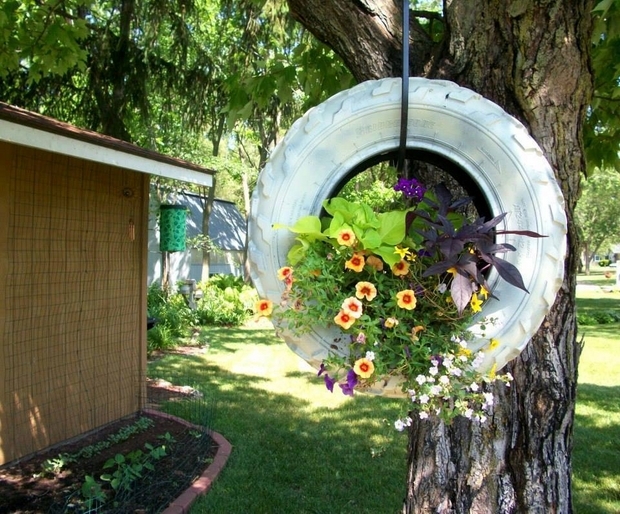 Old cars, tires and large metal pieces are junk that can be transformed into cute yard decorations. 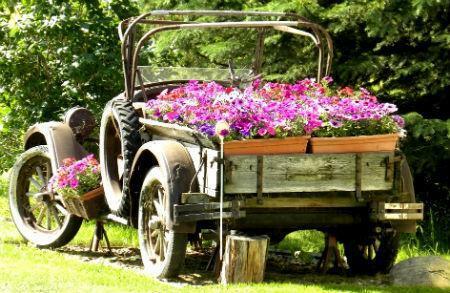 When buying land or farm people often faced with what other land owners left behind for new owners to clean up. 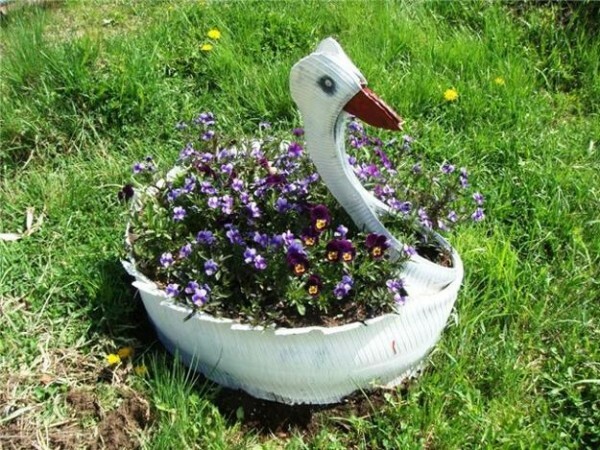 Anything that someone has left behind that we wish they had not can be used as yard decorations. 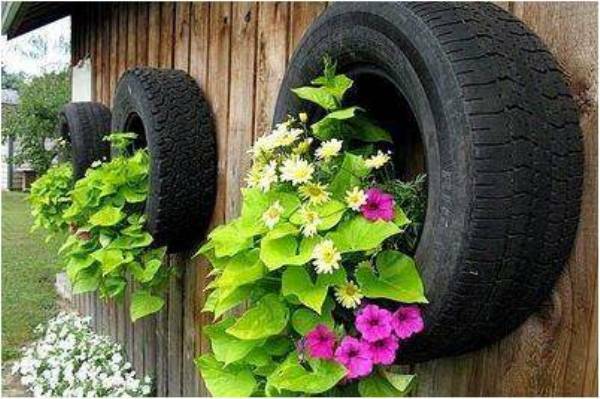 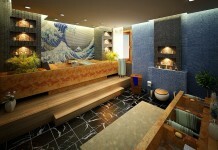 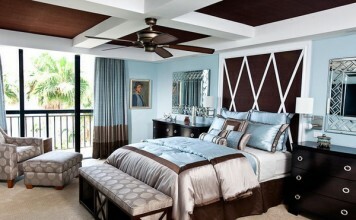 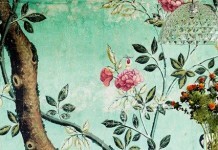 Considering the cost of dump fees, sometimes there are better recycling ideas than throwing more junk into a landfill. 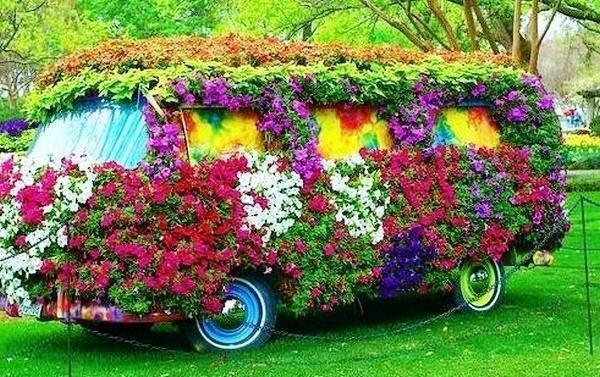 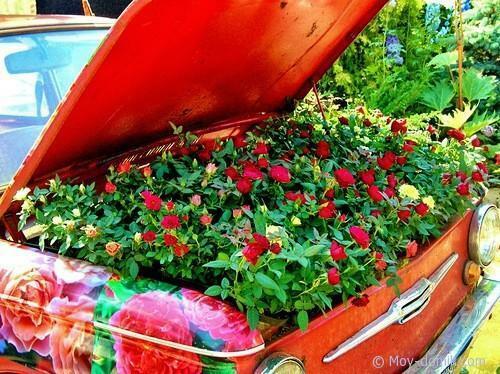 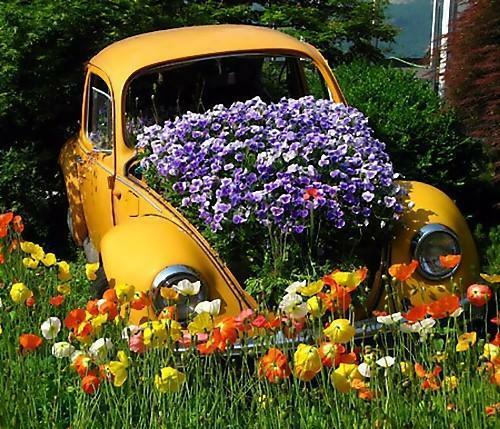 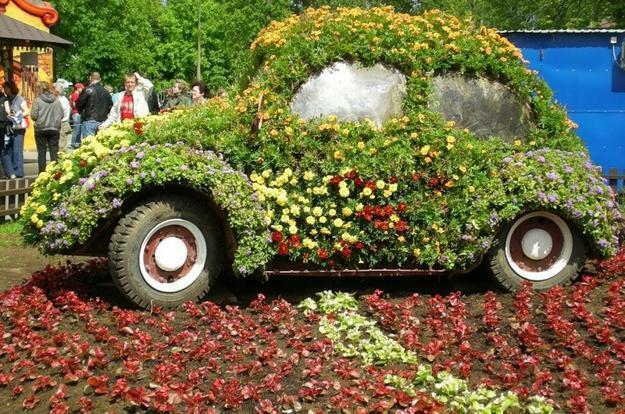 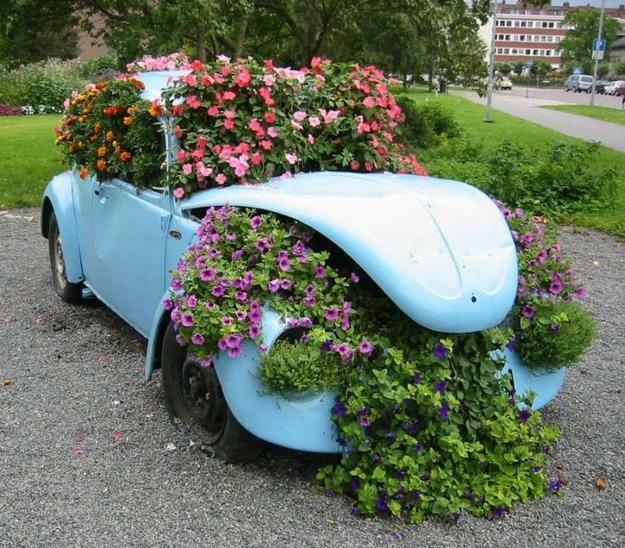 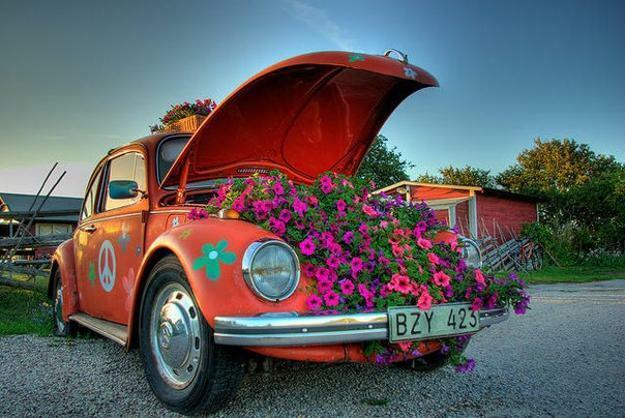 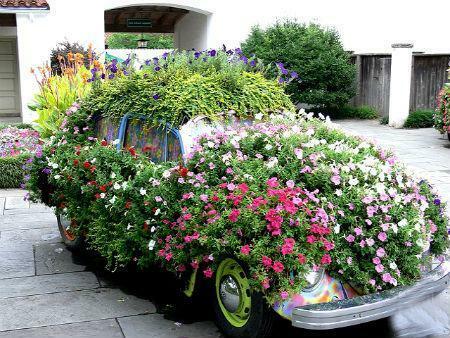 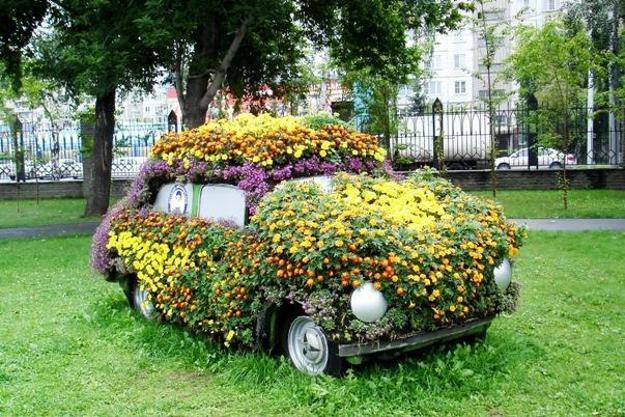 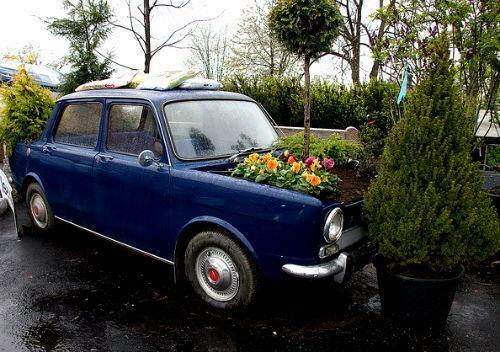 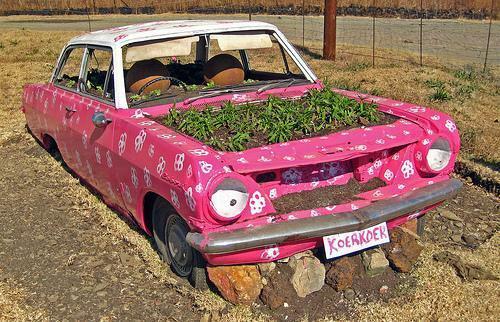 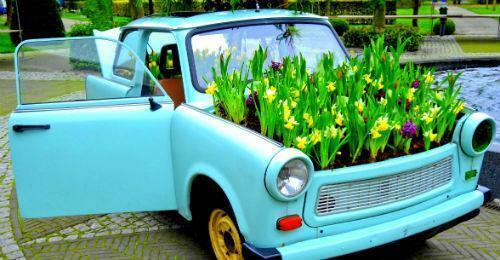 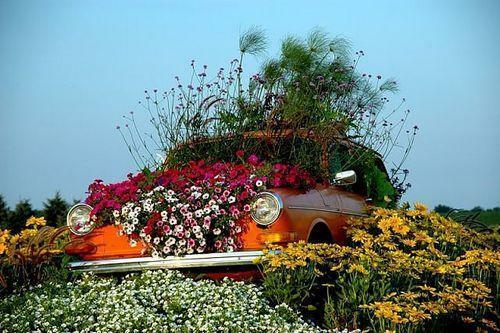 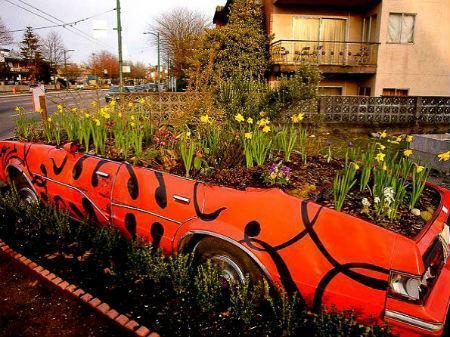 These beautiful flower beds that recycle old cars are great examples of smart, eco friendly and artistic yard decorations.